DNA sequencing of more than 400 families identified two new genetic causes of craniosynostosis. Researchers at the University of Oxford have discovered two new genetic causes of craniosynostosis, a rare bone condition that can inhibit brain growth in children. The work will give affected families much greater understanding of the condition and inform patient treatment plans. Andrew Wilkie, Nuffield Professor of Pathology at the University of Oxford and honorary consultant at Oxford University Hospitals NHS Trust, led the research, the results of which were published in the journal Nature Genetics. The study was based on genetic data from more than 400 families treated at the specialist Craniofacial Unit at Oxford’s John Radcliffe Hospital over a twenty year period. Every gene in each family member’s DNA was then sequenced in full at the University of Oxford, allowing two new genetic causes of craniosynostosis to be identified. 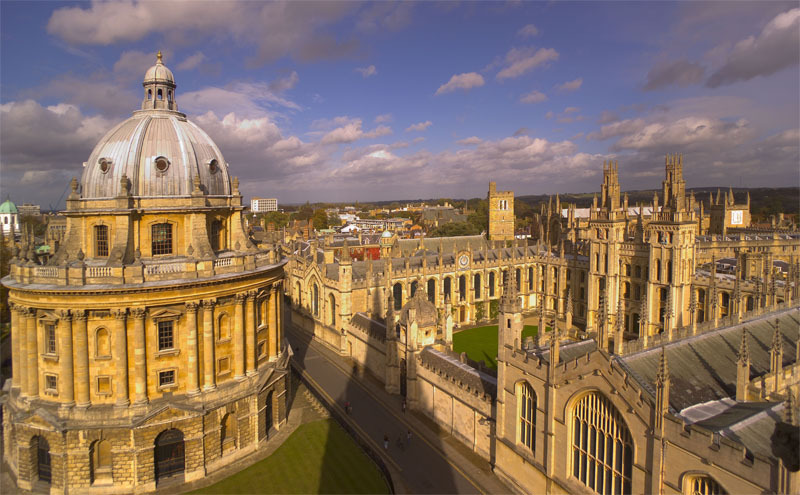 The research was supported by the Wellcome Trust, with additional funding from the National Institute for Health Research Oxford Biomedical Research Centre, a collaboration between the Oxford University Hospitals NHS Trust and the University of Oxford. Around 1 in 2,200 children are born with craniosynostosis, a condition where the bony plates of the skull – known as sutures – are fused, leading to an abnormally shaped head. In some cases, the fusing of the sutures does not leave enough space for the growing brain. This can increase pressure inside the skull and cause hearing, vision and breathing difficulties. About 21 per cent of craniosynostosis cases have a genetic diagnosis. The identification of two new genetic conditions takes that to around 24 per cent. The two new genetic conditions are each believed to account for one to two per cent of craniosynostosis cases. The researchers predict that around 30 per cent of cases have a genetic cause, with the remaining 70 per cent partly attributable to physical complications during pregnancy. If consultants know the underlying genetic cause then they know what to look out for and they have a case management plan that is alert to the possible complications. The conditions with a genetic cause carry a risk of being inherited and, in most cases, are more severe forms of craniosynostosis. Identifying genetic causes and grouping together patients with the same underlying condition allows medical staff to identify specific characteristics. The process also gives individual families a greater understanding of the condition and allows treating consultants to be alert to potential future issues in individual cases. A characteristic of the first newly-identified genetic condition – known as ERF – is that complications become apparent much later in childhood, at around age four of five, compared to the majority of craniosynostosis conditions, which are apparent at or shortly after birth. Complications associated with the ERF gene then quickly become more serious if it is not recognised and treated. With the second type of genetic condition – known as TCF12 – complications present almost immediately and require surgery. However, complications then tail off and most patients have a good long term prognosis. Professor Andrew Wilkie said: ‘If consultants know the underlying genetic cause then they know what to look out for and they have a case management plan that is alert to the possible complications. Professor Wilkie was the first to characterise Apert Syndrome (one of the most severe forms of craniosynostosis) in 1995. He said: ‘There is a very close working relationship between surgeons, geneticists and the rest of the craniofacial team based at Oxford’s John Radcliffe Hospital. This is only possible within the NHS, and it is made possible by harnessing those strengths along with recent advances in genetics that allow us to sequence far more genes, more quickly. The Craniofacial Unit at the John Radcliffe Hospital is one of four UK centres of excellence for the condition. The team worked in collaboration with colleagues at the other centres and the findings will be made available to all.